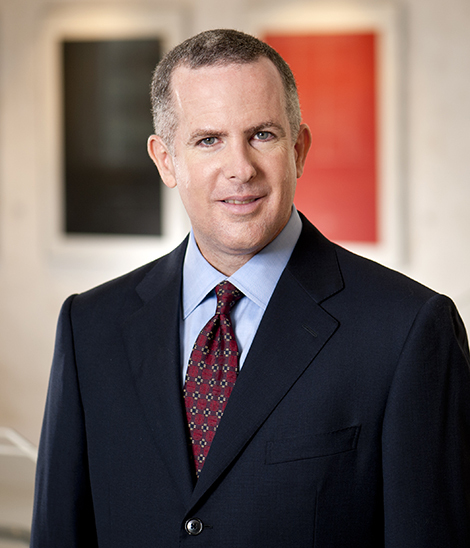 Trial attorney Craig H. Marcus, a Partner in Glaser Weil’s Litigation Department, has a broad and diverse practice covering the gamut of complex business and commercial disputes, including real estate, partnerships, securities, entertainment, intellectual property, trade secrets, employment, finance and insurance. His clients include Fortune 500 companies, start-ups and emerging businesses, charitable organizations, and individuals. Mr. Marcus has litigated multi-billion dollar lawsuits, as well as $50,000 contract disputes, and, in each case, he devises a strategy and approach designed to effectively and efficiently achieve the client's goals in a manner commensurate with the amount at issue. He strives to resolve matters through amicable means; however, if the client is best served by a trial, Mr. Marcus has a wealth of experience to present complicated business transactions to a jury and obtain a favorable verdict. Mr. Marcus received his bachelor’s degree in business administration from Loyola Marymount University and his law degree from Loyola Law School. During law school, he received several awards, including "Outstanding Achievement in Trial Advocacy" by the American Bar Association: Litigation section; "Best Oralist" by Tournament of Champions; "Outstanding Achievement in Trial Advocacy" by American College of Trial Lawyers; and was a recipient of the "American Jurisprudence Awards: Trial Advocacy and Advanced Trial Advocacy". Additionally, Mr. Marcus participated in the National Moot Court Competition and placed first in the National Trial Advocacy Competition, Western Regional. Mr. Marcus is a member on the Board of Directors of the Pacific Lodge Boys Home, a member of the Jewish Federation and the American Israel Public Affairs Committee (AIPAC). Represented the largest real estate development company in Latin America in litigation concerning a $1.5 billion portfolio of 55 office buildings in Southern California. Represented Kilroy Realty, a billion dollar REIT, in litigation concerning a partnership to develop $300 million of commercial real estate in Southern California. Successfully prevailed on summary judgment on behalf of Bank of New York Mellon and defeated efforts to cancel and quiet title against a significant deed of trust. Representing LNR CPI Presidio Retail, one of the nation’s largest commercial developers, in litigation against Lowe’s. The home improvement store chain is accused of agreeing to build a store, but failing to do so. Represented Morgan Stanley, one of the nation’s largest investment banks, in litigation arising from the sale of Fox Family Channel to Disney. Represented The Gores Group, a technology investment fund, and Haim Saban in litigation arising from the bankruptcy auction of a billion dollar telecommunications company. Represented Morgan Creek Productions in litigation concerning the rights to a film project based on the life of Tupac Shakur. Prevailed on summary judgment and acquired the rights for the client. Represented a European media company in litigation regarding the distribution of U.S. motion pictures in Eastern Europe.